Back in 2011 when businessman Gerry Ryan's now-defunct Melbourne Pub Group bought the Prince of Wales hotel from the Van Haandel family, there was a flood of promises to uphold all it stood for: the grungy essence of the famed band room and dive bar, and the standard of one of Melbourne's iconic fine diners, Circa, where the reputations of chefs such as Michael Lambie, Andrew McConnell and Philippa Sibley were solidified. But over the past eight years, things changed. St Kilda changed. In 2017, Circa became an events space, then closed completely. Before it did, there was still a solid service team, an impressive wine list and a well-executed contemporary menu. But when I last ate there, it was in a mostly empty room. Shift to 2018, when plans for a grand reinvention of the whole premises (boutique hotel to public bar and restaurant space) were being unveiled and boy howdy had the dialogue changed. Ryan and his son Andrew now control the premises. Their downstairs dive is soon to be "cleaned up", and turned into a gastropub. 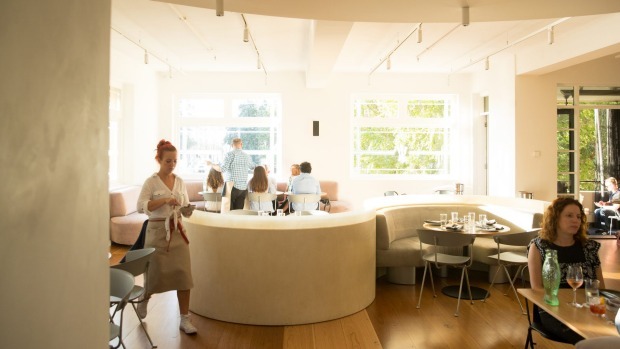 As for Circa, they haven't hesitated to admit the high-end model wasn't working and that they wanted to shake off the "special occasion" mantle and pull a regular custom from locals with a lower-key pan-Mediterranean menu devised by one-time Circa chefs Dan Hawkins and Dan Cooper. To be clear, Circa is dead. Prince Dining Room is all new – a neutral, minimal, industrial-elegant canvas from designer Iva Foschia, she behind the deco-glam revitalisation of Cutler and Co and the dark muted elegance of Attica. The pitch now is summery cocktails, grilled meats, fish crudo, gussied-up burrata – you know the drill – but with a coastal Mediterranean spin as the point of distinction. 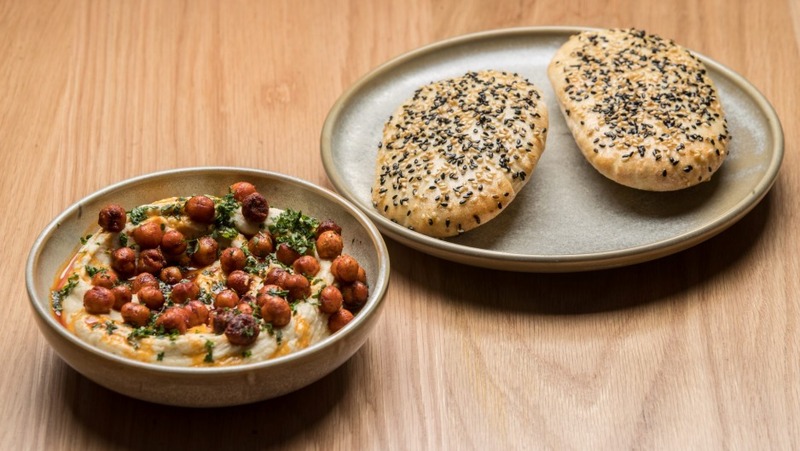 A smooth fava bean dip topped with crunchy paprika-rolled chickpeas is worth a nudge, though you'll want to add a side of puffed up, sesame-coated pita bread unless you want to eat it with your hands. Their raw kingfish pulls no punches, with macadamia cream, lime juice, shreds of padron peppers and finger lime caviar. It's hardly delicate, but the creamy-sharp extremes counter each other well enough, if you don't mind losing the fish. Of the skewers, Flinders Island lamb with a fermented green chilli sauce is simple, sharp and nicely grilled. There's great tenderness to the calamari too, still sticky in parts, but the peppery-sweet pil pil sauce using black garlic is aggressively shouty and just a little off-key. Inconsistent seasoning is bit of a repetitive niggle. 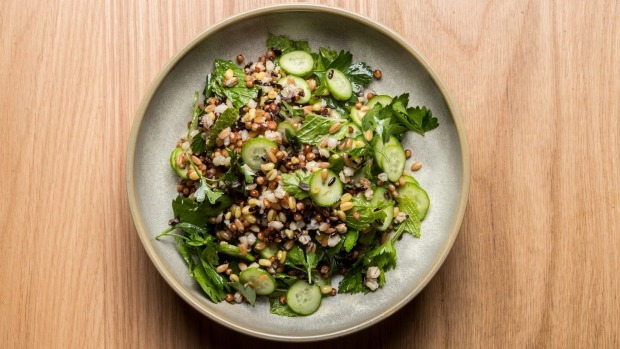 A mixed grain tabbouleh is slightly warm and too salty to be refreshing and a wedge of purple cabbage dressed with a prawn butter is outrageously floral and shellfish funky at once. Far better is the sweet, salty and peppery plate of grilled and raw nectarines with shaved manchego, radishes and mustard leaves. It's been more than a month since the Prince Dining Room opened, and what a time to do so. On the one hand, people are trekking south for gigs at the reopened Espy, and to look at the new venues such as Captain Baxter and Prince. On the other hand this creates stiff competition for both customers (it's a lonely vibe-less dining room the night we visit) and staff. That's something you might notice as the Prince's pleasant crew does laps around the dining room, repeatedly offering to take drink orders already under way, supplying wine lists but not coming back for the order and happily agreeing to change plates after four courses, but only after we ask. 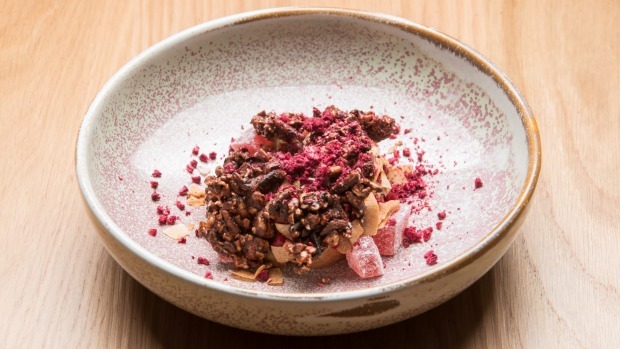 There's no risk of you comparing this experience with Circa, but it's hard not to line it up with its neighbours now they're pitching an on-par level of food and drink. Tap beers have crossover – mostly big brands with a couple of crafties. The Espy Kitchen has steak and chimichurri versus Prince's rump cap and salsa verde; Espy veg includes roast pumpkin and pepitas versus roasted carrots sauced by their own tops and toasted seeds (order this) here. There's even a skewer versus skewer battle in the Espy's lamb koftas with flatbreads versus the Turkish-style pizza here, with a good crisp base, a mild rubble of cumin-flavoured beef and a squiggle of yoghurt and lemon zest. Not bad, yet nothing special. There's the rub. It's completely fair that the Ryans saw a need to get away from being a special occasion place, but what have they put in its place? In the battle for St Kilda's hearts and minds, where does the Prince sit? Put simply, it's quiet. Which will either be the draw or your dissuader. Cream fibreglass snakes its way through the front room in an S bend that separates curved banquettes. A dark elegant bar in the foyer has sneaky nooks you can melt into. Tables of sandy wood are wide spaced, a few looking onto the verandah, and the warren of rooms creates privacy throughout. Compared with the theme park setting of its beachy, brash neighbours, here's a quiet deck for Ruinart by the glass without having to yell, or a medicinal tequila-grapefruit cocktail stuffed with thyme. But only real time will tell how this roll of the dice goes down. Pro Tip: The feed me option is decent value at $50. 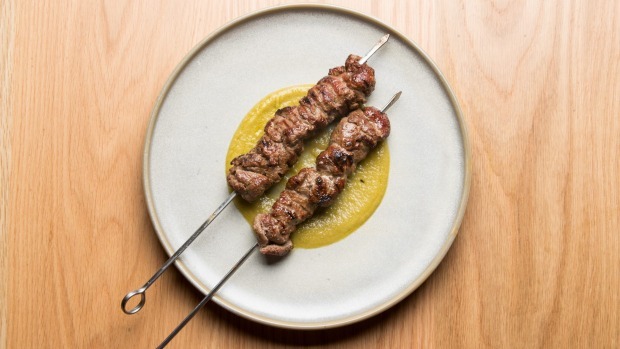 Go-to Dish: Flinders Island lamb skewers, fermented chilli ($16).